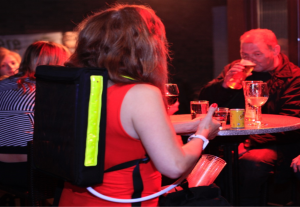 Backpack Shots Dispenser - Get Shotpack and Flashpacks from Jetpacks! 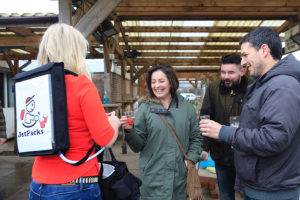 The Shotpack is a gravity-fed backpack shots dispenser that holds up to 5 litres of cold non-carbonated beverages dispensed through a flexible hose. 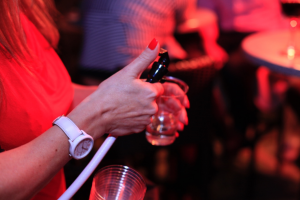 Complement the Shotpack with the Canpack to serve mixers for spirits or the Serving Pouch to store shot glasses and snacks. 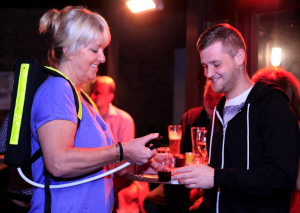 The Flashpack offers the same specialist product design as the Shotpack, with the addition of fluorescent strips on the sides and shoulder straps. 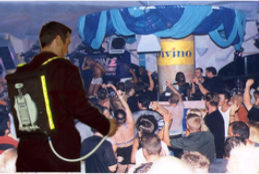 The straps incorporate high-visibility flashing red LED lights, for maximum visibility and exposure in low-light environments such as clubs and bars. Cocktails, Mineral Water, Sauces, Juices And More.